Home Blog Steam Simon – a steampunk style memory game is released! 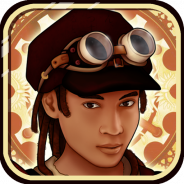 Steam Simon – a steampunk style memory game is released! Our newest game – Steam Simon will be a joy to your eyes and senses! Detailed steampunk style graphics will immerse you into the memory challenge! Memorize the sequences shown on screen and improve your memory skills. Gain coins for passing game levels and assemble your own steampunk robot! Click HERE to play the game. If you enjoy playing games on your desktop, you may find Steam Simon at Chrome Store. Fantastic steampunk graphics will drag you into the challenge! Stay focused, memorize the sequences and play them from memory! COLLECT PARTS AND BUILD A STEAMPUNK ROBOT! Earn game coins for good results and assemble your own steampunk robot!